In 2009, the Montana Environmental Custodial Trust was established as part of the American Smelting and Refining Company (ASARCO) bankruptcy settlement—the result of staggering environmental liabilities after a 110-year operating history. Greenfield accepted ownership and responsibility for two federal and two state hazardous waste sites in Montana, at the request of the United States and the State of Montana. The Trust received $138 million to own, remediate, and facilitate the reuse of the four sites once owned by ASARCO in Montana. 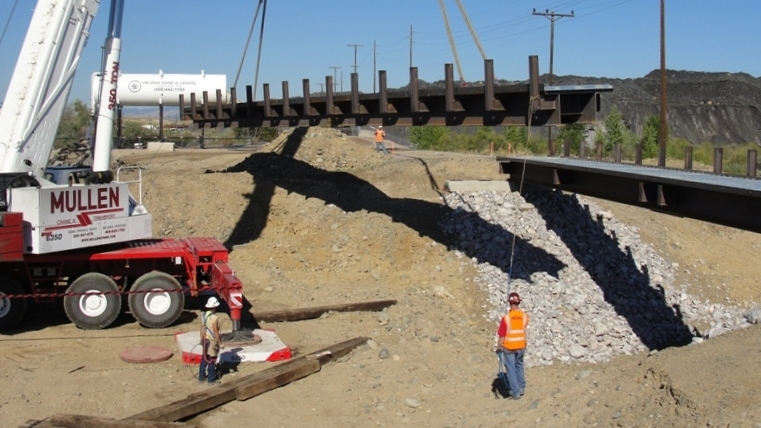 Now in our sixth year of construction at the 2,000-acre former lead smelter in East Helena, we are managing remedial actions that include construction of a sustainable cover system, excavation of tons of contaminated material, and relocation of a creek. Greenfield also took title to hundreds of acres of mine-scarred land—at the Upper Blackfoot Mining Complex/Mike Horse Mine, the Black Pine Mine, and the Iron Mountain/Flat Creek mining area—where ASARCO once extracted gold, silver, lead, zinc, and other metals. Our primary role in Montana is to protect public health and the environment in partnership with our beneficiaries—the United States and State of Montana—as well as community stakeholders. A century of lead smelting in East Helena contaminated soils, sediment, and groundwater at this 2,000-acre Superfund and RCRA Corrective Action Site. In a span of six years, Greenfield successfully characterized the nature and extent of site contamination, developed six EPA-approved remediation work plans, and designed, permitted and constructed three interrelated, integrated cleanup measures. Greenfield has already documented improvements in down-gradient groundwater quality, which typically take years to realize at most hazardous waste sites. Greenfield has been instrumental in the adoption of local and state land use controls required to protect public health by preventing exposure to contaminated soils that extend for miles around the former smelter and to groundwater that does not meet safe drinking water standards. Greenfield completed a redevelopment planning initiative to identify community- and market-supported future uses of the 2,000 acres of land in East Helena, working closely with the City on rezoning, infrastructure planning and permitting future uses. To date, Greenfield has helped the local school district build a new elementary school and is currently working on siting a new high school on another Greenfield parcel. We have also sold land used to expand an existing manufacturing company and are currently negotiating with prospective purchasers of 450 acres for mixed-use and single-family residential developments. Finally, we are working with a community land trust on developing a trail-recreation-and-conservation project on 300-plus acres. Read the 2016 fact sheet and the 2015 fact sheet about the progress of our cleanup of the former lead smelter in East Helena. Since 2011, Greenfield has operated the water treatment plant at Upper Blackfoot Mining Complex/Mike Horse Mine, where millions of gallons of historic acid mining drainage are treated annually. We brought the plant’s discharge water into compliance—for the first time in its operating history—with Montana water quality laws designed to protect human health and aquatic life in the Blackfoot River. As trustee owner of this mining area, Greenfield supports the Montana Department of Environmental Quality’s (MDEQ) Superfund cleanup activities at the complex, including removal of approximately 800,000 tons of mine tailings and wastes. Holding title in trust to more than 1,000 acres in the Black Pine Mine District, Greenfield funds and supports MDEQ efforts to address contamination from historic silver and lead mining near Phillipsburg, Montana. The mine-scarred lands contain 400,000 tons of metals-impacted wastes, including mining rock, tailings, soils, and sediments. Funds for cleanup and restoration of natural resource damages total $18 million for the Black Pine Mine. 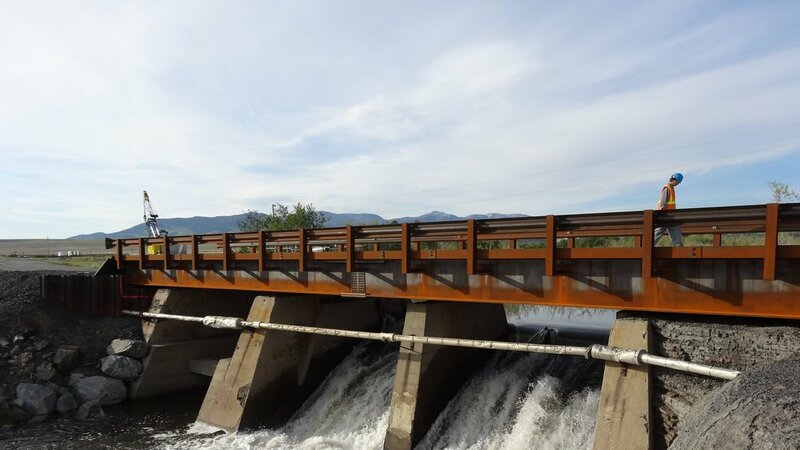 East of Mineral County and north of the Clark Fork River and Superior, Montana, Greenfield funds and supports cleanup activities performed by MDEQ and EPA at the Flat Creek/Iron Mountain and Mill Federal Superfund site. After decades of silver, gold, lead, copper, and zinc mining, the now-abandoned mining district includes tunnels, tailings, a discharging adit, and mill remnants. Evidence of Iron Mountain mine tailings have been found along Flat Creek and downstream as far as its confluence with the Clark Fork River. Greenfield has worked closely with EPA and the City of East Helena on a host of community involvement and redevelopment programs. We have supported historic preservation initiatives, creation of parks and wildlife habitat areas, stakeholder-driven redevelopment plans, expansion of existing businesses to preserve and grow existing employment centers, and efforts to improve local public school facilities. As part of our commitment to East Helena and its residents, Greenfield has sponsored and participated in more than 60 public events. We have supported public meetings, stakeholder workshops, town, city, and county meetings, multi-stakeholder presentations, and technical working group reviews. Greenfield annually hosts the East Helena Rodeo, the East Helena Barrel Races, the East Helena Fourth of July Fireworks display, and the East Helena Public School Fun Runs.